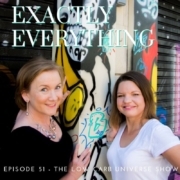 It’s back – another unforgettable episode of The Low Carb Universe Show! 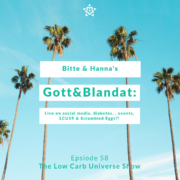 Their respective social media live streams: Bitte goes live at 6PM CET on Mondays on Facebook for Monday Motivation, and Hanna goes live at 6PM CET on Thursdays for Type 1 Thursday. Join in if you can! Otherwise all episodes are available on YouTube. Their brand new event diabetes. : Who is talking and what are they talking about? LCU19, the signature event, tickets are selling and speakers have been announced! How do you make the best scrambled eggs? Bitte shares her insights. What was your favorite piece of knowledge? Share it in a comment! How, Why and What of The Low Carb Universe? 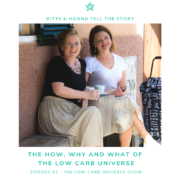 In this episode, Bitte and Hanna tell the whole story about The Low Carb Universe! Because The Low Carb Universe has recently gotten a lot of new followers (yay, welcome! ), an update on the how, why and what of the operations would be appropriate. How do they work together, despite living far apart from each other? Why did they start The Low Carb Universe? 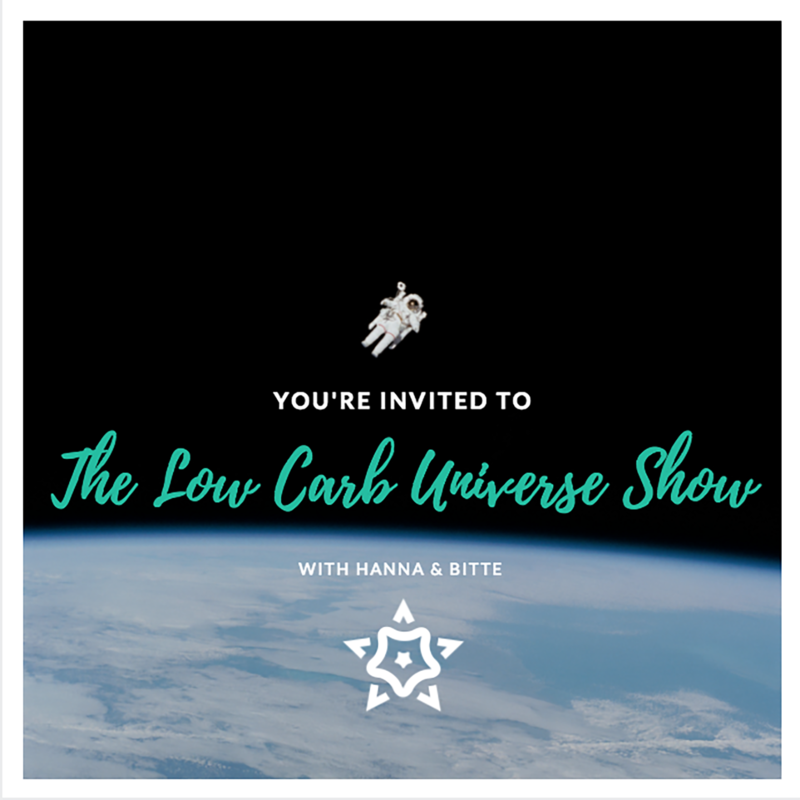 What is the concept of The Low Carb Universe events? How do they choose locations? What is the best, and most goosebump, moment? You can buy tickets to their upcoming events diabetes. here and their signature event LCU19 here! Did you perhaps learn something new from this episode? Leave a comment below! 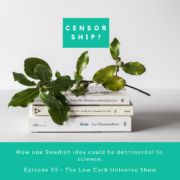 https://thelowcarbuniverse.com/wp-content/uploads/2019/03/LCUShowEp57.png 800 800 The Low Carb Universe /wp-content/uploads/sites/10/2018/12/TheLowCarbUniverseLogo2019.png The Low Carb Universe2019-03-07 08:00:062019-03-21 11:22:41How, Why and What of The Low Carb Universe? In this week’s episode, Hanna chats to gynaecologist and internationally acclaimed women’s health expert, Dr Anna Cabeca. 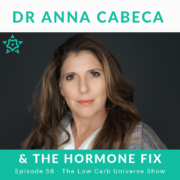 Dr Cabeca just published her new book, The Hormone Fix, which is a wealth of knowledge about women’s health, hormones, menopause, sexual health and so much more. Order your copy today! How Dr Anna got started? Menopause needs to be renamed! What was your biggest take away form this episode? Leave a comment below! Today, Bitte and Hanna discuss a new idea presented in one of the largest newspapers in Sweden as a debate article. And, sure enough, there is enough to debate about it! The idea is to add a sign of approval to health and science books by an “independent source” to show which ones follow “science” and not, as there are potentially harmful advice in some books. This has been brought forward but five professors and medical doctors, clearly worried about this issue. what has happened to common sense and thinking for yourself? how will science evolve if people aren’t allowed to think outside the box anymore? the value of N=1 (or thousands)? what science would this stamp of approval be based on? And who interprets it? And what’s the criteria? the importance of individual research. Bitte and Hanna’s conclusion? Everyone should have a choice of trying what improves their health – you do what works for you! Would you be in favour of something like this? Leave a comment! 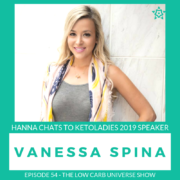 In this episode, Hanna welcomes Vanessa Spina, aka Ketogenic Girl & KetoLadies 2019 speaker to the show! What was your biggest take away from this episode? Leave a comment below! A life without animal products? Welcome back! 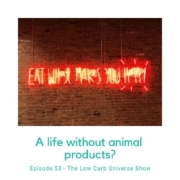 In this episode, Bitte and Hanna discuss the possibility of being vegan, living a life without animal products & produce. …as well as their plea to vegans to become friends! What are your thoughts about veganism? Is it something you’d try? Leave a comment! 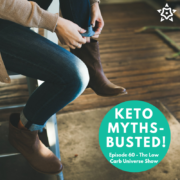 https://thelowcarbuniverse.com/wp-content/uploads/2019/02/IMG_2291.jpg 800 800 The Low Carb Universe /wp-content/uploads/sites/10/2018/12/TheLowCarbUniverseLogo2019.png The Low Carb Universe2019-02-07 12:01:542019-03-21 11:23:20A life without animal products? 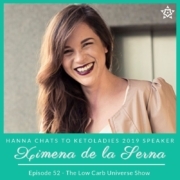 In this episode, Hanna is talking to KetoLadies 2019 speaker Ximena de la Serna, nutritional therapist specialized on women’s health! How did she overcome PCOS, acne, alopecia, all dependant on insulin resistance? Women aren’t just small men! What was your biggest take away from this episode? Leave a comment! 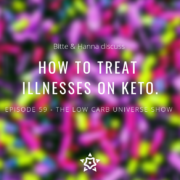 In this episode, both Bitte and Hanna are back after several weeks of interviews with their fabulous KetoLadies 2019 speakers! KetoLadies 2019: the updated schedule, the added bonus speaker, there are tickets left! diabetes. : Tickets are available, including a day ticket! Some of the speakers have been revealed! Check out Hanna’s interview with Dr Westman and Dr Al Lawati! LCU19: Best. Event. Ever. by The Low Carb Universe! Tickets are here (if you know, you know!). This is where you have the chance to influence our LCU19 event – who would you love to see speak at LCU19? Leave a comment!